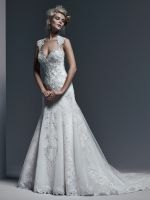 Sottero & Midgley Wedding Gown Collection. In Stock, priority, special order, and rush orders. Available in a variety of styles, colors, and lengths. New gowns are added each season. 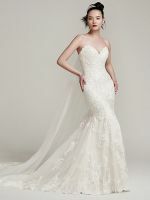 Pizazz Wedding is a Maggie Sottero authorized bridal shop. We ship bridal gowns and accessories throughout the United States.